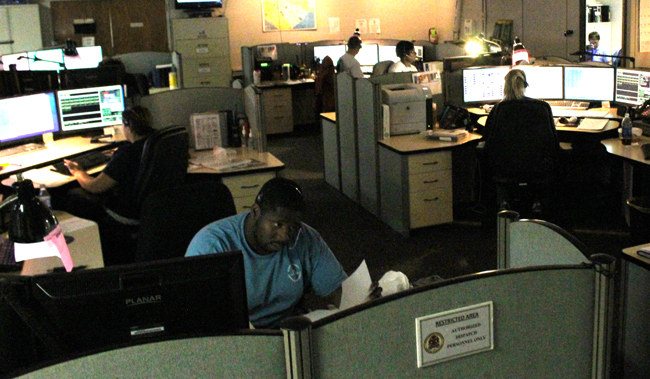 Florence County 9-1-1 also known as Central Dispatch to our emergency response personnel is the communications hub for Florence County’s Emergency services network. Our communications personnel perform dual roles handling call-taking responsibilities as well as dispatching emergency response personnel. We dispatch for 25 different emergency Services organizations within Florence County, there are 10 law enforcement agencies, 11 Fire Departments, 1 countywide Emergency Medical Service and 3 transporting rescue squads. Law Enforcement; Florence County Sheriff’s Office, Florence, Timmonsville, Johnsonville, Pamplico, Lake City, Scranton, Olanta, Quinby, Coward, Florence Regional Airport Police Departments and Francis Marion University Public Safety. EMS/Rescue; Florence County EMS, Timmonsville Rescue Squad, Johnsonville Rescue Squad and Pamplico Rescue Squad. Florence County 9-1-1 receives an average of 367,000 calls per year. That is around 995 calls per day and 41 calls per hour. Out of those calls, on average, 151,000 of them are E-9-1-1 calls. The remainder of the calls are either non-emergency calls, such as a fender-binder with no injuries, or administrative calls from law enforcement, fire or EMS personal requesting information.